Fine Gael is "all talk and no action" on the environment, the Green Party has claimed after the Government blocked its proposed law to ban single-use plastics. The Waste Reduction Bill has been halted with the Government claiming it breaches EU law. 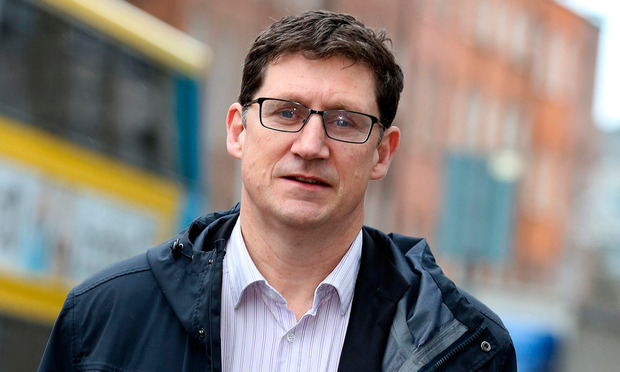 Green Party leader Eamon Ryan disputed this by saying similar bans are in place in France and Italy "which clearly shows it can be done". He hit out at Fine Gael, saying if it was serious about reducing the "scourge" of plastic which is "choking up our oceans" it would support his party's bill. The Government confirmed this week it is refusing to issue a so-called "money message" that's required for Opposition legislation that has cost-implications. It argues the proposed ban is illegal under EU law and "incompatible" with a forthcoming European Commission directive on reducing the environmental impact of plastic products. Mr Ryan argued that this "doesn't stand up" and that waste experts in Brussels last night told his party environmental protection is deemed to be sufficient grounds to justify restrictions on plastic packaging under EU regulations. "This is just another example of Fine Gael being all talk and no action on the environment. They are putting out flashy videos and graphics on their website but when push comes to shove they do nothing," he claimed. The Government has said it is committed to reducing single-use plastics and plans to increase plastic recycling to 55pc by 2030. It previously approved a plan to stop purchasing single-use plastic cups, cutlery and straws across the public sector.